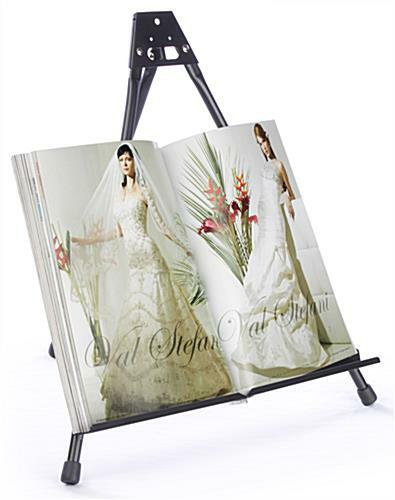 These presentation displays, tabletop easels provide users with a lot of flexibility! 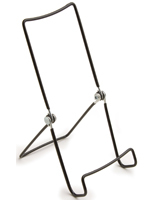 Display a wide range of items such as books, drawings, picture frames and other types of merchandise with these counter top stands. Durably constructed from aluminum, these tabletop easels are built to last for many years. 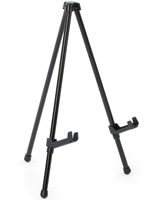 Together with a simple and modernized finish, these riser stands easily complement any environment. 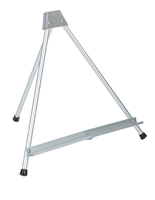 These tabletop easels, also known as art tripods, can also be folded to a compact size for travelling purposes. This unit is space-saving, lightweight and easy to set up for any occasion. 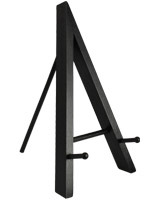 If you are attending a trade show or giving a presentation, these tabletop easels will be a valuable display tool. These art displays, counter stands offer retailers the most reliable way to hold drawings, books or other items. 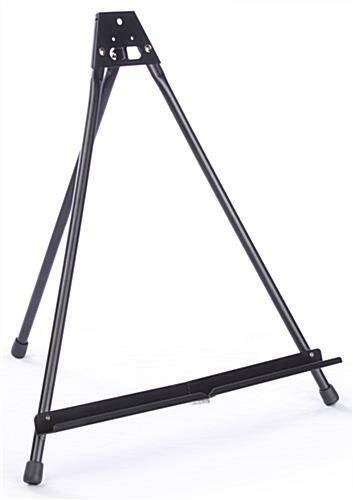 Featuring three nonskid rubber legs, these tabletop easels can stand on a flat surface without sliding off. The back leg of these metal risers is also fully adjustable, allowing exhibitors to display merchandise at the optimal angle. 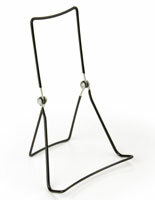 Each of these tabletop easels, such as art holders and picture displays, will hold any canvas or item up to 16" tall. 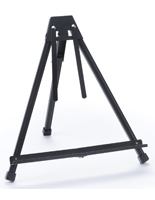 Enhance the beauty of your artwork by using these tripods. Tabletop easels ship to customers fully assembled. 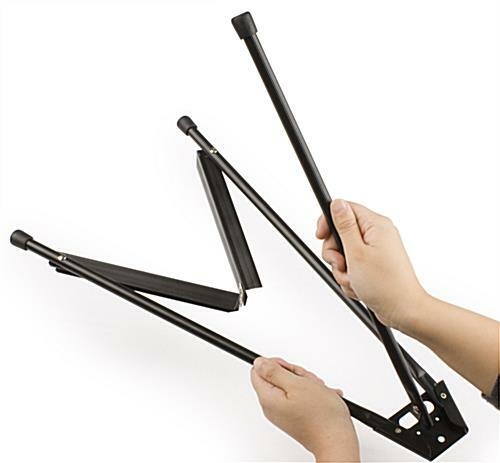 Simply unfold the three legs and lock the support tray into place. 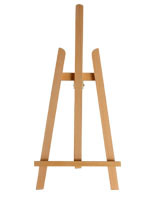 These tabletop easels are perfect for use in schools, studios, bookstores, retailers and at trade shows. 17.5" x 16.8" x 13.0"
I love them. They are perfect and compact for my paint evenings. I will be ordering more. They are just the right height and have that little extra piece to give you more to keep from making an indentation in your canvas. The wooden ones at the local arts & Craft stores cost more and are not as nice. Thanks for the great packing and speedy shipping! Thanks for the great review, Lisa! We're glad to hear that you are happy with your order, that makes us happy to hear! Everything I expected! Great quality! Thanks for the feedback, Meshel! 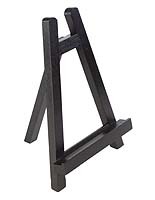 These are a great tabletop easels. They are very storage friendly as they fold up flat and are easily all put into a tote for storage when not in use. They are sturdy and hold at least a 11 X 14 picture. We appreciate that they are black and do not take away from the art piece we are displaying. This is an awesome easel for table top events of painting for groups. Lightweight and easy to store in a small space. I really like it and do plan to buy more.